There are few, if any, music venues more renowned than London’s Royal Albert Hall. So news of a new Royal Albert sound system is significant. And learning that Royal Albert Hall has installed the “world’s largest single room audio system,” according to a press release, with over 450 individual loudspeakers from the d&b audiotechnik range – well, that’s big news. The new sound system debuted with the Olivier Awards, according to the d&b press release. “Previously our control over the audio experience was limited and often didn’t meet our high standards,” says Ollie Jeffery, HoD Production and Technical at the Royal Albert Hall, in the press release. “What we wanted was to bring sound in-house with a properly implemented system and make it so good that the majority of productions would feel comfortable using it. 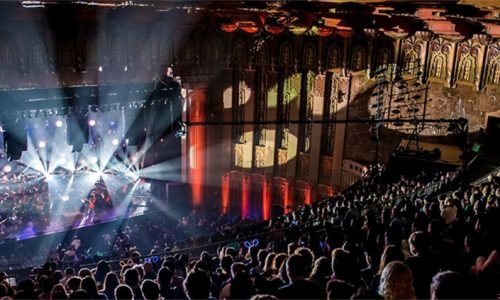 “Naturally everyone who has ever played here wants to get it right; some audio teams would spend five or six hours on the day taking speakers up and down, up and down, trying to achieve that end, but it was always a compromise. Steve Jones from the d&b audiotechnik Application Support team talks about tacklfing the lofty challenge at Royal Albert Hall. “The basic premise is that the room and the system is split vertically into three levels,” he says. “You could just put in a very long line array and cover the whole thing vertically, but you suffer, as many have discovered in the past, from overexciting parts of the room you don’t want to. “Instead, through rigorous modelling and many rounds of finding out what was physically possible, we managed to secure the loudspeaker locations for all three sets; that allowed for coverage, imaging, level and control – to find a balance in the midst of what is a pretty intricate sound system. “The separation of the three levels has worked so well that you can sit in the stalls mixing a show and barely notice if you mute the gallery and circle when the system is balanced in terms of level. The audio network runs over a DiGiCo Optocore fiber loop with redundant Dante network over Ethernet. Amplifier control is via the DS100; all amplifiers are d&b audiotechnik – a selection of the installation specific 10D and 30D, with the D20 and D80 touring amps for the V-Series and subwoofers. Monitors include M4 wedges, with E6 and E5 loudspeakers. While tiny custom coloured 4S loudspeakers, deliver sound discreetly to all 140 boxes around the auditorium. “The multiple aspects of the final design solution, the way the vertical separation of the audience areas are properly addressed, and the way all the boxes have been included in that plan, means that since the system has been commissioned, and whatever the demand of program material placed upon it, we have been able to tailor to every differing need,” says resident audio manager, Borneo Brown. For touring production managers and sound crews, the logistical headache of reconfiguring touring audio arena systems for the idiosyncrasies of the RAH is a thing of the past, according to the press release. The installation and integration of the complete system was carried out by SFL, a UK-based sound production and integration company and sales partner for d&b audiotechnik. “This is the biggest improvement to what our audiences hear since the mushrooms went in in the 1960s,” says Ollie Jeffery, HoD Production and Technical at the Royal Albert Hall. “Kylie Minogue, Take That, Frank Sinatra… these are just some of the incredible artists who have played the hall, and like them, the hall constantly has to challenge perceptions and reinvent itself for modern audiences,” says Craig Hassall, chief executive of the Royal Albert Hall. 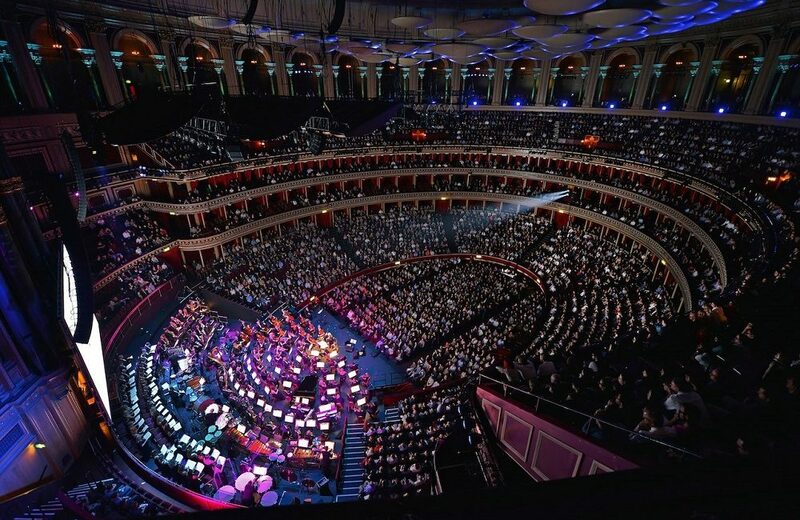 “The Royal Albert Hall is more than a venue,” says Amnon Harman, CEO, d&b audiotechnik. “It is an iconic destination that has played a significant role in producing cultural enlightenment for its audiences since 1871. Be the program classical, contemporary or sports, the RAH is an inspirational stage for the world’s most influential artists and their audiences.